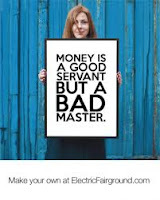 Money Shouldn't Be Your Master. Proverbs 21:6 Wealth created by a lying tongue is a vanishing mist and a deadly trap. The pursuit of wealth, if not directed under the guidance and stewardship of God can be very very dangerous. My dear reader it has been clearly written that the love for money is the root of all evil. We need to note clearly that it says “The love for money and not that money is evil”. Loving money is different from lacking it but also those who lack it can be pushed to limits to do whatever it takes to get it. It is both dangerous to love money and to lack it, that’s why we need to know the truth behind this thing called money, you will find that there is so much about this thing that the bible even says it answers all things. Proverbs 18:15 Intelligent people are always ready to learn. Their ears are open for knowledge. The love for money over the ages has strongly taken root in the lives of both the young and old people. Young children are growing in a culture where they believe everything comes with the press of a button, to make it worse parents are not doing much to tame their appetite for things, the schools they go to are also fueling the lifestyle of spending like crazy on different activities that appear on the school curricular. People have chosen to serve money rather than it serve them, we know how important money is but we know that it's grip upon our lives has caused a lot of damage. This love for money has led to a self centered life, people want to accumulate everything for themselves, it is good to have things but if you are possessed by them then the reality is that they are a god in your life. I bet by now many of you have resolutions however we need to ask ourselves if we made steps to achieving the ones of 2017. 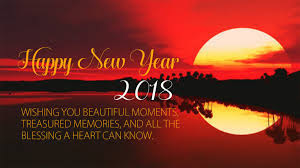 Some resolutions are progressional so you don't have to start a fresh but improve or get more serious. 1. Continue building on your Vision/Goal. 2. Have a plan to achieve that goal. 4. 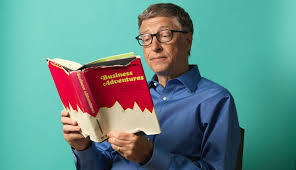 Do whatever it takes to keep educating yourself in your area of expertise and also learning other things to improve you or your organization or business. While doing devotion yesterday, I landed on this scripture Genesis 6:21 NLT, it talks about when Noah was asked to build the ark and the warning of God of destroying the whole earth with rain. He told them to be sure to take on board enough food for the family and animals. This just spoke to me on a personal note about planning and preparing for the rainy days.